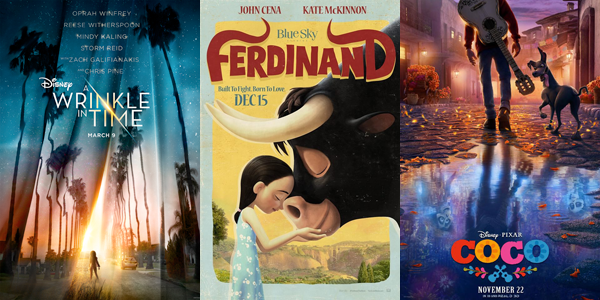 We take a look at the movies you and your kids can look forward to in the next 12 months. Even though the year might be coming to an end really soon, that doesn't mean that the movies will be slowing down. There's a slew of new movies still coming out this year and into new year that we're really looking forward to. Not only are Lego movies always fun and hilarious, they're always chock full of amazing talent and the Ninjago movie is no different. Starring he voices of of Dave Franco, Justin Theroux, Michael Peña, Kumail Nanjiani, Abbi Jacobson, Zach Woods, Fred Armisen, Olivia Munn and Jackie Chan. The plot follows 6 teenagers living in the far-away land of Ninjago who find themselves "hired" and trained by an old ninja master named Wu. He trains them to become ninjas who protect the capital city at night from monsters sent by Lord Garmadon, a warlord seeking to conquer Ninjago, while using a variety of vehicles and dragons to aid them. Fans of the My Little Pony show are going to love seeing their favourites on the big screen. In order to stop a threat to the land of Equestria, Twilight Sparkle and her friends – Applejack, Rainbow Dash, Pinkie Pie, Fluttershy, Rarity, and Spike – embark on a journey beyond their home, meeting new friends and overcoming challenges in the process. Here's a Christmas movie that is actually about Christmas. The Star centers on a donkey, Bo, and his animal friends who become the unsung heroes of the first Christmas. Another star-studded cast with Zachary Levi, Oprah Winfrey, Gina Rodriguez,Keegan-Michael Key, Kelly Clarkson, Kristin Chenoweth, Tracy Morgan, Tyler Perry and Gabriel Iglesias amongst others. This looks like a fun one and a great way to introduce your kids to cultures from around the world. Despite his family's generation-old ban on music, Miguel dreams of becoming an accomplished musician like his idol Ernesto de la Cruz. Desperate to prove his talent, Miguel and his dog Dante find themselves in the Land of the Dead. Along the way, they meet charming trickster Hector and together they set off on an extraordinary journey to unlock the real story behind Miguel's family history. Ferdinand is a Spanish fighting bull who prefers smelling the flowers and practising non-violence rather than chasing red cloths held by matadors in arenas. But when disaster comes to him, he is taken to a fighting stadium like every bull in Spain, and Ferdinand needs to decide if he is a fighting bull or a flower smelling, generous bull, in order to earn his freedom. The 1963 science fiction novel is coming to the big screen for the first time next year. After learning that her astrophysicist father is being held captive on a planet deep in the grip of a universe-spanning evil, Meg Murray works with her brother Charles Wallace, her classmate Calvin O'Keefe and three astral travellers to save him. The trailer looks fantastical starring Chris Pine, Oprah Winfrey, Mindy Kaling and Reece Witherspoon amongst other big names. 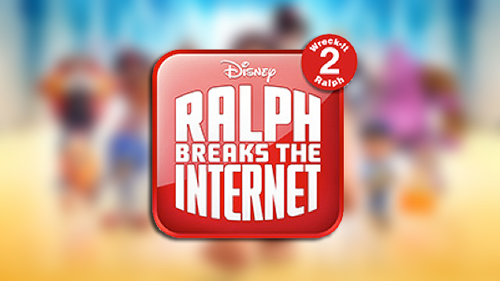 Taking place six years following the events of the first film, the story will center on Ralph's adventures in the Internet data space when a Wi-Fi router gets plugged into the arcade as he must find a replacement part to fix Sugar Rush. Along the way, Ralph and his best friend Vanellope Von Schweetz encounter new customs, worlds, and characters, such as the trendy algorithm and even the Disney Princesses. The Incredibles 2 follows the adventures of the Parrs, a family of Supers (humans with super abilities). The Parrs include father, Bob, also known as Mr. Incredible who possesses super strength, his wife, Helen also known as Elastigirl for the ability to stretch her body, and their children: Violet, who can become invisible and project force fields; Dash, who possesses super speed; and Jack-Jack, their baby who can transform into a number of forms. Which movie are your kids looking forward to the most? Tell us in the comments below.